What stat matters most to a podcast sponsor? 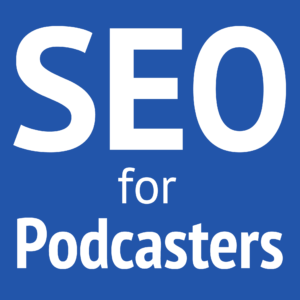 What stats matter most to a podcast sponsor? 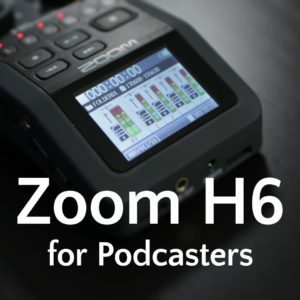 There are many ways to make money podcasting, and not just with a podcast sponsor. But here's the information that will be most important to any advertiser. Don't fall for the myth of “Monthly downloads”—they're actually deceptive to an advertiser. You may say you have 10,000 downloads, but the majority of that is your archive and your sponsor may actually only get 5,000 impressions. A higher publishing frequency will increase your monthly downloads, but that doesn't mean your audience grew, or that a potential podcast sponsor will be heard by more people. Advertising is still a numbers game, so the next most important stat is your true audience size. The best way to gauge this is by looking at your downloads per episode after about a month. Average it out across your episodes. This is the number advertisers would want for a CPM model (where they pay you $10–$45 per thousand downloads), because this tells them how many impressions they would get for each episode sponsorship. The best place to get these per-episode numbers is by hosting your media with Libsyn or Blubrry, or using Blubrry's free or premium stats. For either provider, use promo code “noodle” to get a free month. Your web host, S3, or other regular host will not have accurate podcast stats like Libsyn and Blubrry provide. If you're currently featured in iTunes, your numbers will be highly skewed. You'll see a big drop when you're no longer featured. So wait at least a month or two before you check numbers for a potential podcast sponsor. You wouldn't want to give them a false expectation. 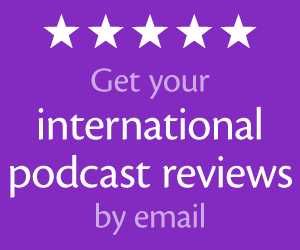 Let's say you average 1,000 downloads per episode (after a month) during a normal time period. Big advertisers (like Audible) won't even consider an audience smaller than 5,000. But you may be able to get small campaigns for $10 CPM. This means each episode earns you only $10. Four episodes in a month is $40. So is it really worth it to you to inconvenience your listeners, interrupt your content, and advertise something that may or may not be relevant to your audience? You can easily make more than this by simply asking for donations. Give a shoutout to your donors and encourage them to contribute $10 or more per month. If only ten people donate each month, you're beating the $10 CPM and your audience will enjoy it a lot more. The most important stat to a potential podcast sponsor is your influence. How engaged is your audience? Do they take action on your recommendations? This matters more to an advertiser than impression numbers, because they'll not renew an advertising contract, even to a big audience, if the audience isn't taking action (converting). The more likely your audience is to take action, the more valuable they are to a sponsor. A good way to measure this is by recommending relevant free or premium resources (maybe even an affiliate) with a trackable link, like from Pretty Link Pro or Better Links Pro. An affiliate will allow you to track both how many people visited through your link and—more importantly—how many people purchased. Let's say Acme Advertiser has a product that you think your audience would love. You have an audience of 2,000 regular listeners (downloads per episode after a month) for four episodes. Twenty people (1% of your audience) take action and purchase the product you recommended. Acme Advertiser makes $10 profit from each sale. If they pay you a $10 CPM, you make $80 from all four episode, and they've earned a profit of $120 after their cost of $80 to get twenty new customers. But if your audience is more engaged and you get 5% (which is actually very high) to take action, then that's 100 new customers for Acme Advertiser. With a larger engagement, the same audience of 2,000 is more valuable to a podcast advertiser and you may be able to negotiate a higher sponsorship rate. What are your thoughts on doing CPA ads on your podcast? Like talking about a product that you really like and using a Pretty Link URL to an affiliate link? Any kind of CPA add entirely depends on how engaged your audience is and whether they take action. Thanks for the post! But what do you mean by “downloads per episode”? do you mean “monthly downloads per episode”? What would you charge a sponsor for a podcast. Saying this episode brought to you by?